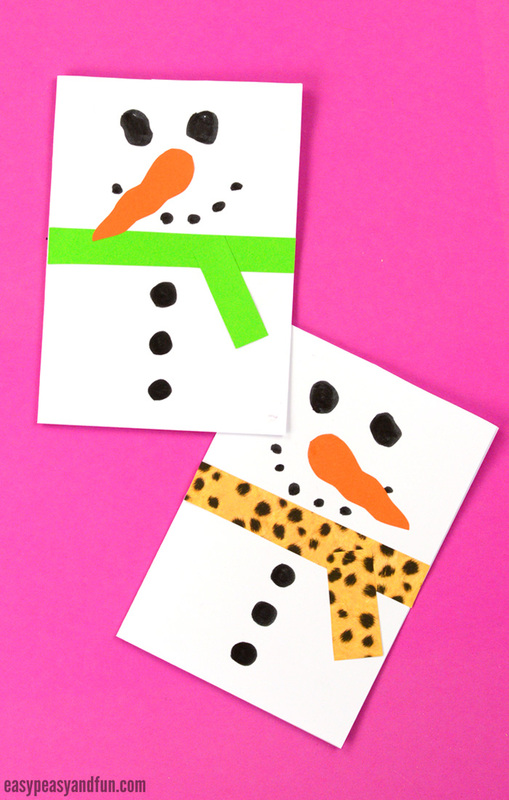 If you need the simplest ever snowman Christmas card idea, this one is it. 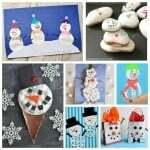 It really can’t get simpler than this and oh boy is it a cute one! 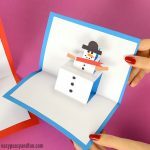 We already shared a pretty cool 3D snowman pop up card with you, but that one might have been a bit tricky for younger kids to make. This card on the other hand could not be simpler. 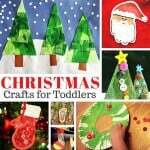 It’s easy enough for even toddlers to make and fancy looking enough for older kids and kids at heart to make too. A win for all ages to make. 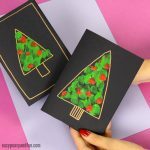 When it comes to making homemade Christmas cards, I like to make as many different ones as possible, as well it’s more fun this way. 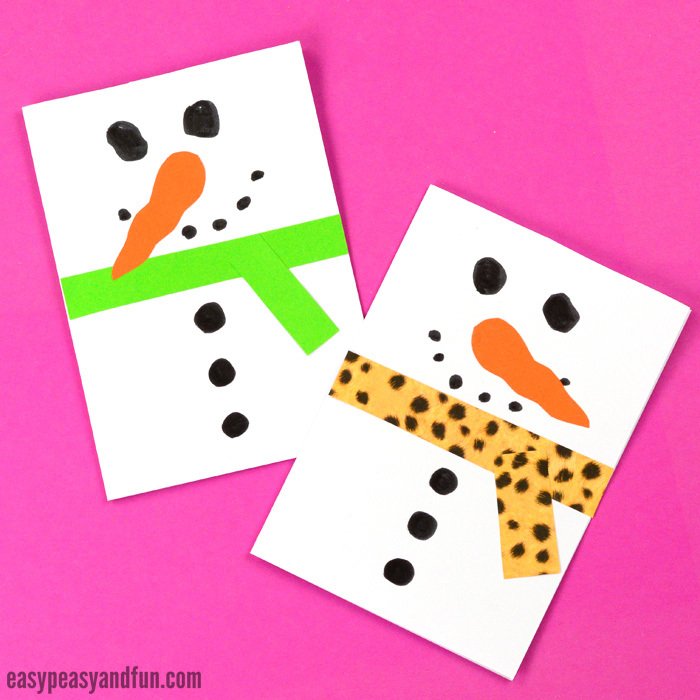 This snowman Christmas card is perfect one to use up all of your scrap paper (especially the nicely patterned scrap scrapbook paper you are probably saving). Or even ribbon to make it look even more festive. Let’s make this Christmas card. Glitter always welcome for festive accents. How to make a base card out of regular paper? 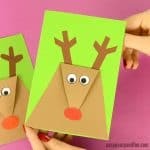 For younger kids, folding a A4 sized or letter sized paper in half will work out just fine – larger surface will make it easier for them to work on. 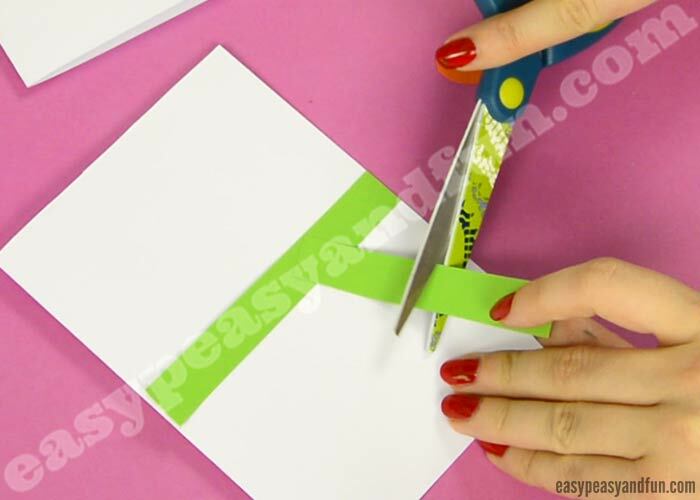 For smaller cards, fold a sheet of paper in half and cut it to two halves. 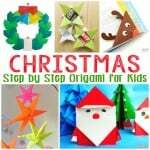 Fold in half and crease well. 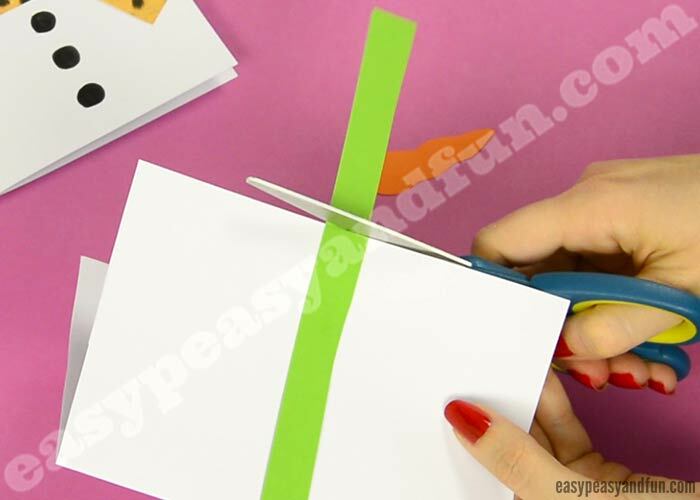 Cut a strip of colorful paper. Glue it on the card, somewhere in the middle. Glue another strip of paper on the first one, to get the “authentic” scarf look. With black marker, draw eyes, mouth and buttons. 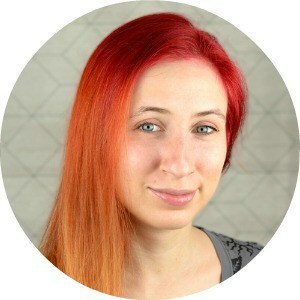 You could also use real buttons and glue them on with glue dots. 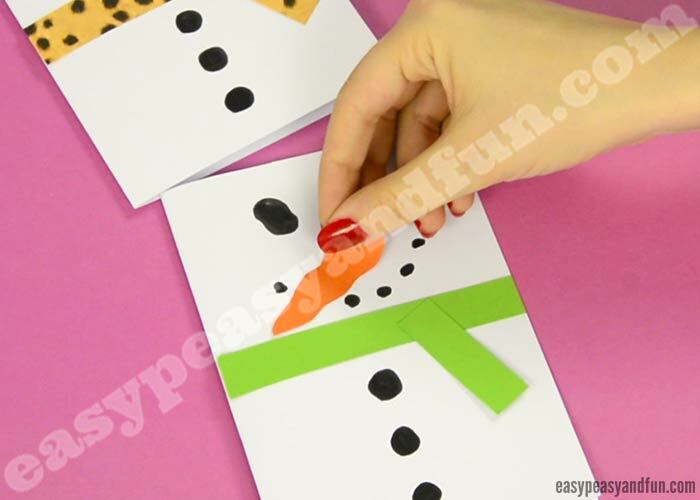 Cut a carrot shape out of orange paper and glue it on the card or draw it with an orange marker. 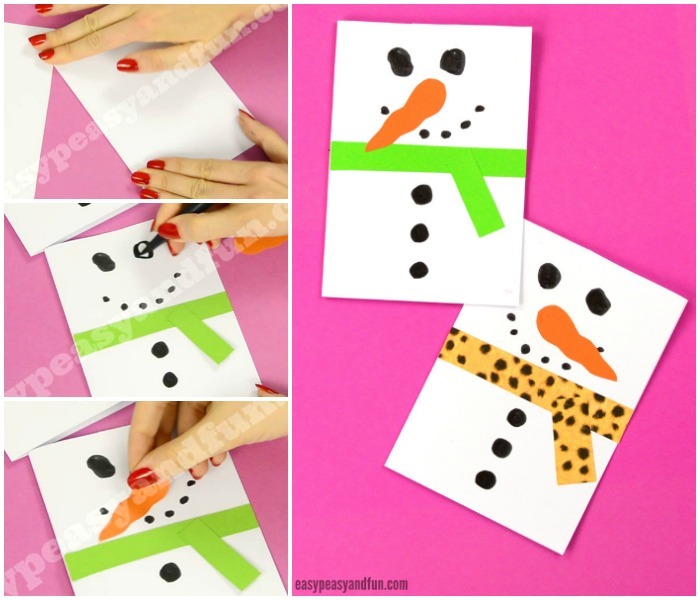 All done, your super simple snowman Christmas card is finished.